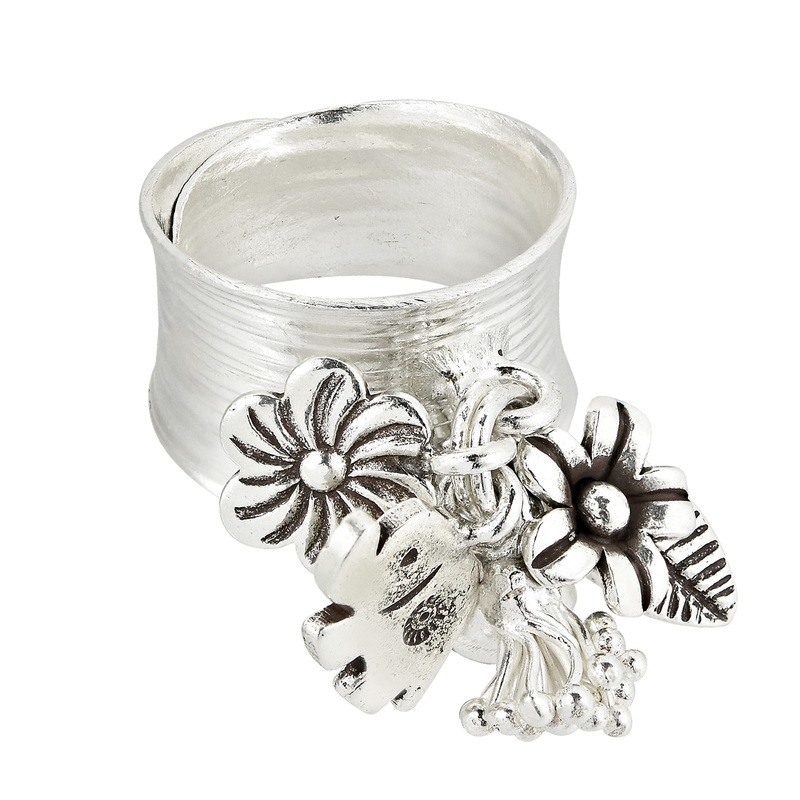 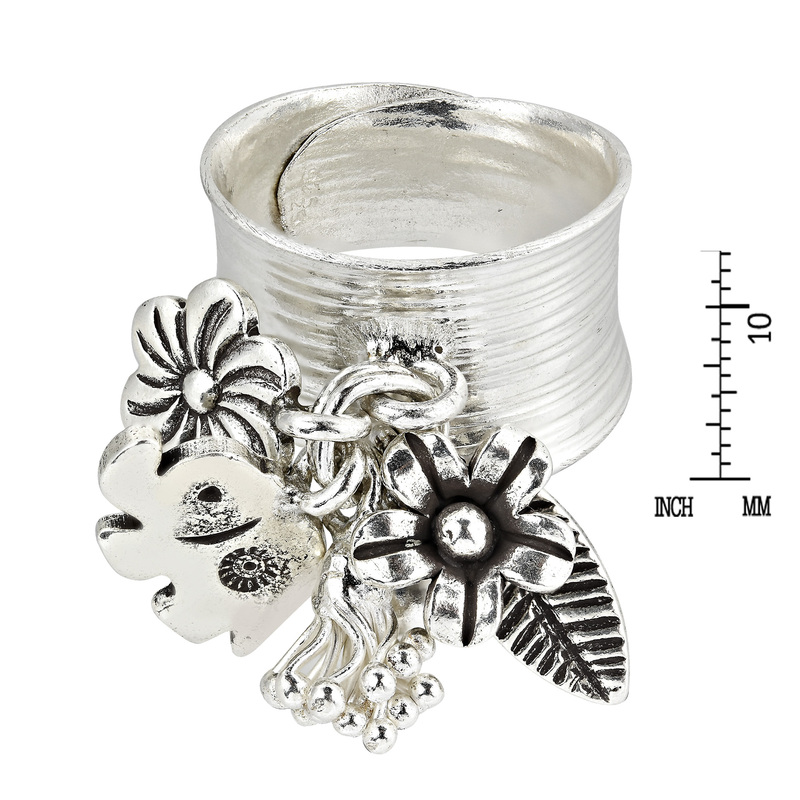 Hand crafted from Karen Hill Tribe Silver by Khun Yao, gleaming nature inspired charms hang upon this thick band ring which weighs over 11 grams. 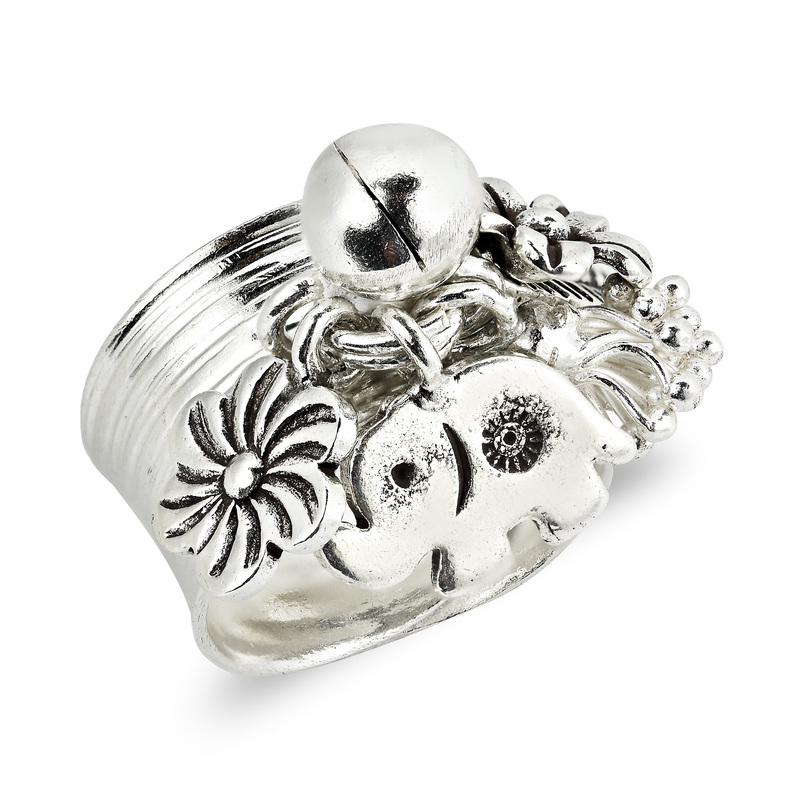 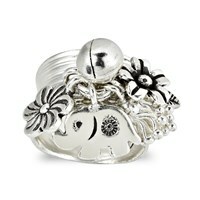 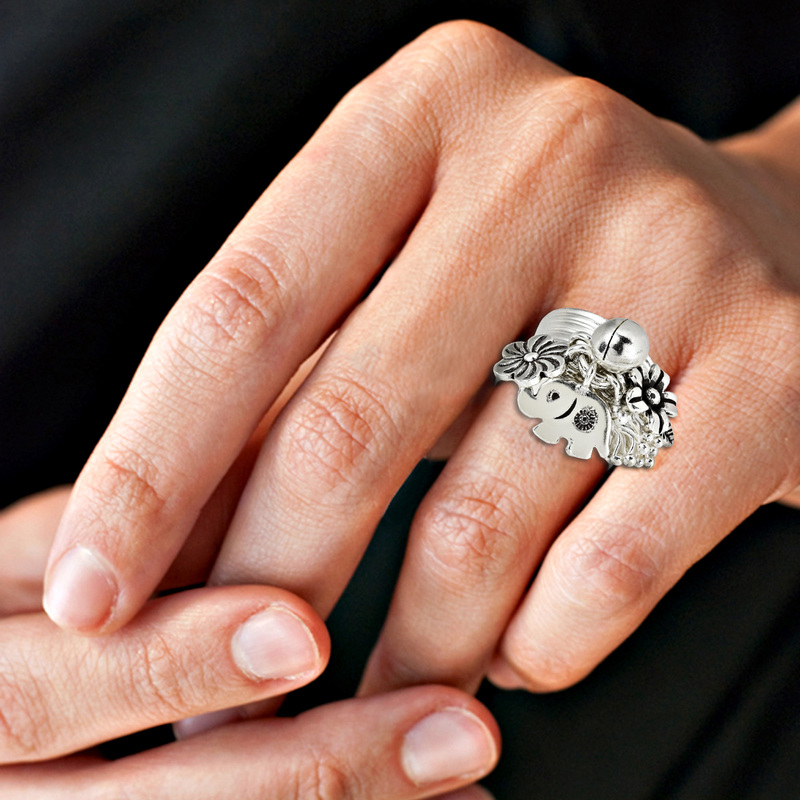 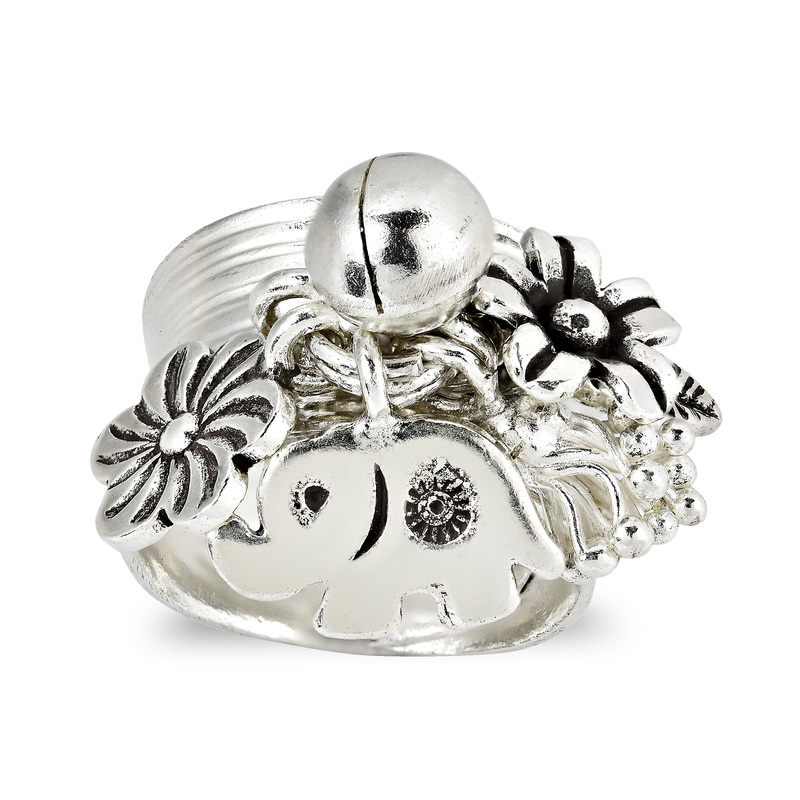 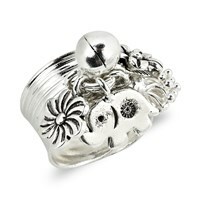 The ring is made entirely from high purity silver (92.5-99% pure silver) and is embellished with oxidized contrasts upon elephant and blossom charms. 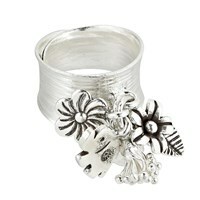 Great for outfits of all styles and sure to draw attention with its brilliant shine.